Another NEAL ADAMS MONTH EXCLUSIVE! The Week 2 covers, out 2/10. It’s NEAL ADAMS MONTH here at 13th Dimension, and we’re featuring daily commentary by Adams on his variant-cover project for DC Comics. Each of his 27 variants is a twist on one of his famous covers from the past. He provided the pencils, and the inks and colors were handled by some of the biggest names in the business like Jim Lee and Scott Williams. For the full NEAL ADAMS MONTH INDEX of stories — including commentary by guest inkers like P. Craig Russell and Brent Anderson — click here. 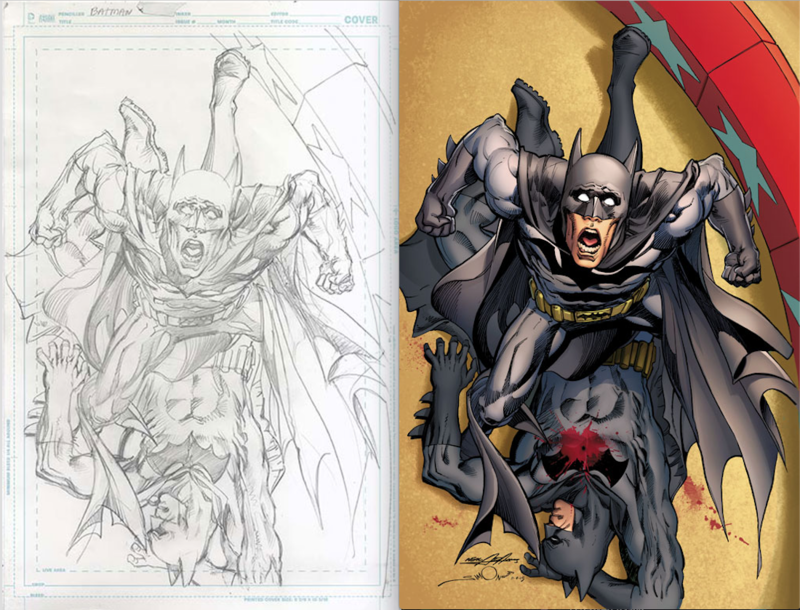 The most noteworthy element of Neal Adams’ Batman #49 variant cover — out 2/10 — isn’t its source material. Deadman #1, on which it’s based, is a pretty well-known image of Boston Brand, but there are so many other great ones to choose from. No, what makes this one special is that this cover is inked by one of NEAL ADAMS MONTH’s most famed guest collaborators — Walt Simonson. As we have with the other guest-star inkers during NEAL ADAMS MONTH, we asked Simonson a couple quick questions. 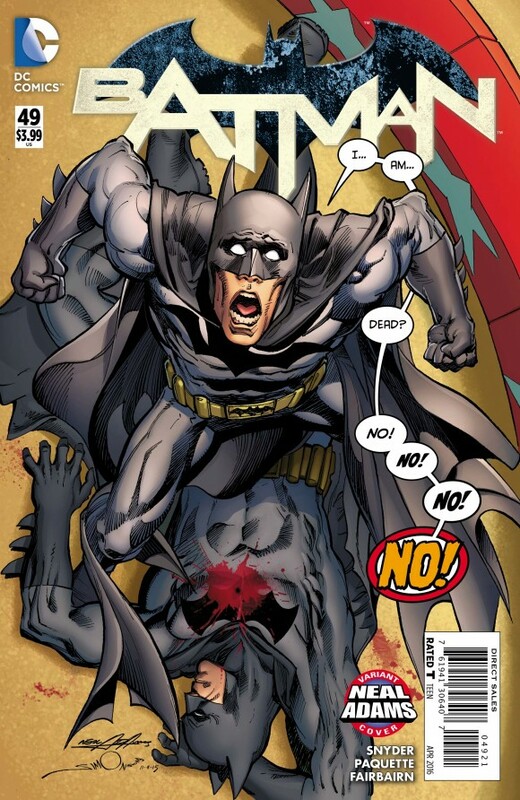 And to read what Adams himself thinks about Batman #49/Deadman #1, click here. 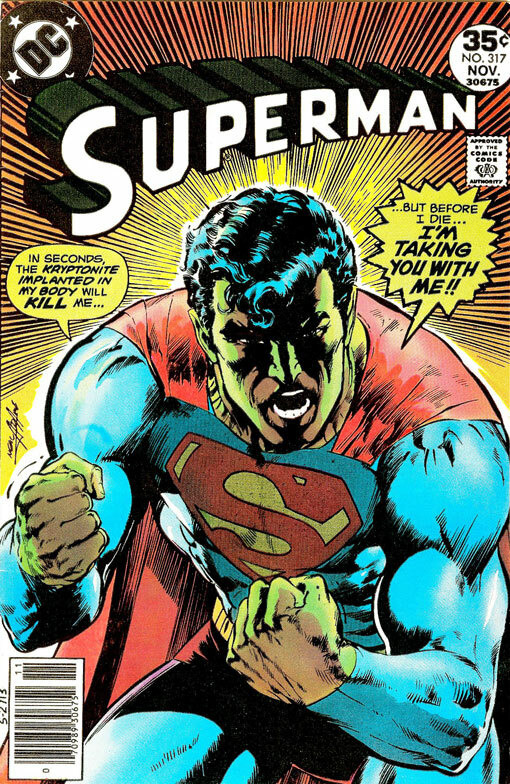 Dan Greenfield: What’s your favorite classic Neal Adams cover? Walt Simonson: Difficult to chose one. I’ve liked a lot of Neal’s covers over the years, and it’s probably impossible to explain to anyone now who wasn’t around at the time what sort of impact his work had on the field then. He just brought a whole different way of seeing and drawing into comic books. At this moment, having looked over some of Neal’s covers, I’d go with the cover for Superman #317. It’s such a powerful figure, beautifully rendered and aggressively styled. Always liked it. And even without the balloons, the storytelling of the cover is pretty clear, aided of course by the color. Catch me on a different day and I’d have a different choice. I loved a lot of the mystery-book covers Neal did. Dan: How has Adams influenced you as an artist? Walt: I think I just admired how much Neal’s work was his own from the first day I saw it. I think that helped embolden me to go my own way because it showed all sorts of new possibilities. Neal’s artistic voice was exceptionally clear, his drafting, his rendering, his cool use of the relatively simple special effects like red-lining that were available to those of us who worked in comics long before computers. Beautiful control of tone and value as well, something not always obvious in the printed work, but I’ve seen his pencils. And he seemed to be able to draw stuff from any angle at any size. I’m still working on that one! Dan: You have your own style. Neal Adams has his. How did you work to meld the two on your homage cover? Walt: Really, I just tried to be as true to the pencils as I could manage. Neal’s own work generally has a pretty fine line quality to it. So I went that direction and hoped for the best. My line is always going to be mine, no matter what, so I wasn’t particularly concerned about how clear my own voice was going to be in the final piece. I wanted it to look good and in the end, to reveal Neal’s hand within the drawing. For the full NEAL ADAMS MONTH INDEX of stories — click here.